Prominent & Leading Service Provider from Chennai, we offer voip vfx fxo, vfxx88ll voip pbx, voip system, gsm-voip gateway, voip-gsm/3g gateway and voip-isdn bri gateways. We are engaged in offering a wide range of Voip Vfx Fxo to our clients. The offered range of product is made from high grade quality raw material to meet the international quality standard. These products are manufactured under the supervision of best quality experts using advanced technology at our vendor end. These products are highly demanded in the market due to their world class quality and available at leading market price. We are one of the trusted names in the market to offer a highly durable range of VFXX88LL VOIP PBX. Entire range of offered products are sturdy in construction and are technically advanced. To maintain industry defined quality parameters, these products are manufactured from quality proven components and cutting-edge technology at our vendor end. We ensure to deliver fully tested products at leading market price within promised time frame. Desk IP Phone is the backbone of communication for controlling business operations. Today's efficient managers require desk phone with elegant design, smart functionalities and multi-tasking ability as their command centre. Matrix presents SPARSH VP330E – The Touch Screen IP Phone, offering perfect blend of Style and Substance for desktop telephony experience. 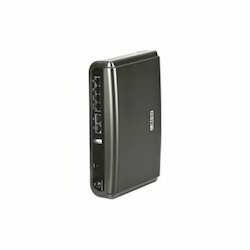 Matrix SETU VG is a compact VoIP-GSM gateway with up to 4/8 GSM and 3G SIM support. 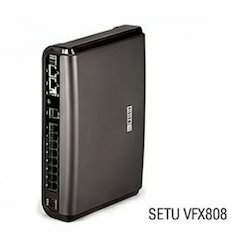 Integrated GSM/3G connectivity and open standard SIP support enables SETU VG gateway to easily connect with leading IP phone systems, software based IP-PBXs, hosted and SIP trunking services. SETU VG is a suitable GSM trunking solution for enterprises, call terminators and areas with limited landline and internet connectivity such as remote project offices, rural and educational institutions. 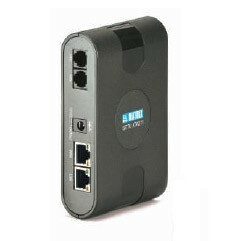 SETU VGB is a multi-port fixed VoIP to ISDN BRI gateway offering 8 VoIP channels and 2 ISDN BRI ports. 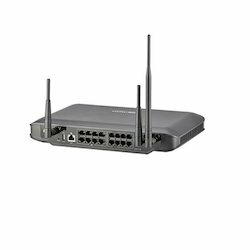 It connects ISDN PBX to IP network for cost-effective and flexible communication. For an IP-PBX, SETU VGB provides ISDN BRI trunking. The gateway enables inbound and outbound calls over VoIP and ISDN BRI networks. 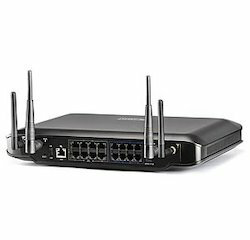 Seamless connectivity with existing communication setup, enterprise-grade features and cost-effective communication over IP network help businesses to realize an early return on the investment. Flexible and intelligent call routing options further ensures that communication takes place using the most cost-effective network. 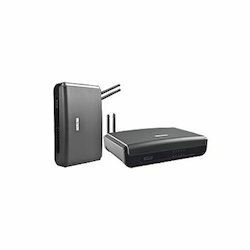 The gateway serves as an ideal solution for small businesses and call centers to control operational costs. Service Providers and system integrators addressing business customers can offer a strategic migration to VoIP with protecting their existing investment. Corporates with multi-locational branch offices can avail benefits of VoIP network for making cost-effective inter-office communication. NAVAN CNX200 is an All-in-One Office Solution for small businesses and enterprise branch offices with up to 24 users. 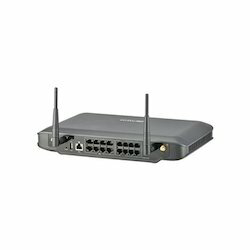 It combines the functionalities of IP-PBX, Data Router, Wi-Fi Access Point, VoIP/GSM Gateway, VPN and Firewall Security in a compact and converged platform. A true Office-in-a-Box, CNX200 innovates the way small businesses communicate and manage infrastructure, so that they can increase productivity, lower costs and enhance collaboration with customers and suppliers. Being a well-established organization, we are offering a qualitative range of Navan Cnx244 System. Immensely popular in the market, the offered product is manufactured using best quality components and advanced technology . The offered range is rigorously tested on various parameters ensuring its quality and functionality. This range can be availed from us in different technical specifications to meet the requirements of different clients. We are offering these products at best market price. Least call routing (LCR) etc. 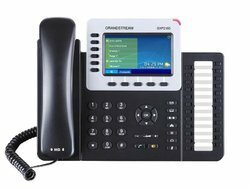 Our organization specializes in providing an excellent range of Voip EPABX PBX System that is used in various industries. We are offering this product in various models and technical specification to meet the requirement of varied clients. To maintain industry defined quality parameters, it is manufactured using quality tested components and advance technology at our vendor end. Require low maintenance, these come in market at pocket friendly prices. We assure to our valuable clients for timely delivery of products.